It’s great to see you here! 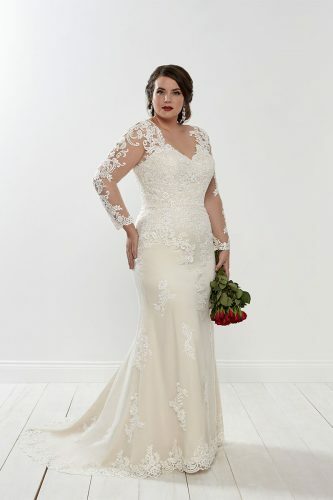 We are a wedding dress sanctuary created for the curvy bride to be, specialising in sizes 14-36 exclusively. We hand pick all our amazing designers for a variety of reasons; style, knowledge, fabrics and design being just a few! We use suppliers based here in the UK, Ireland & Europe. This photograph just about sums us up! A crazy mother daughter duo that would probably pick each other as friends if not already related. Seriously as curvy women we know how hard shopping can be at times, we also know it’s a great excuse for a day out usually involving lunch & cake! 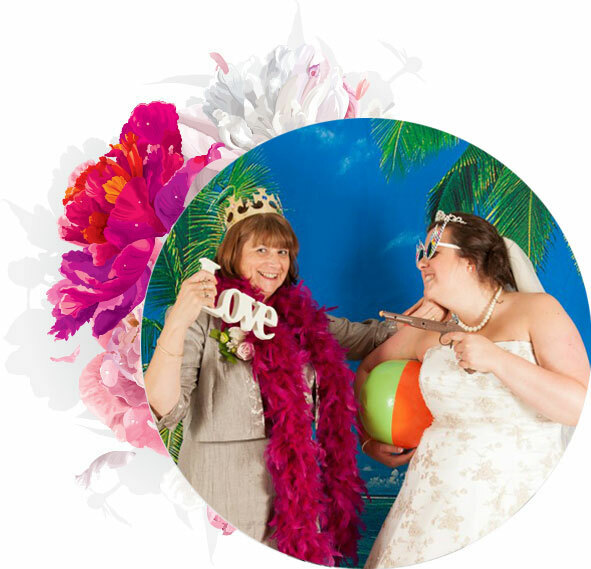 traditional bride, destination bride, vintage bride and princess bride. Basically, something for everyone, with new dresses arriving all year round! 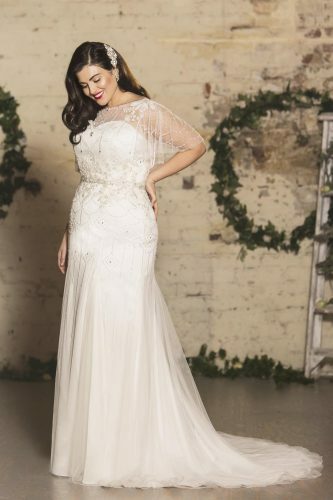 Our dress prices range from £595 – £1495. We found Kate on Facebook and from the get go she showed us great attention and care. 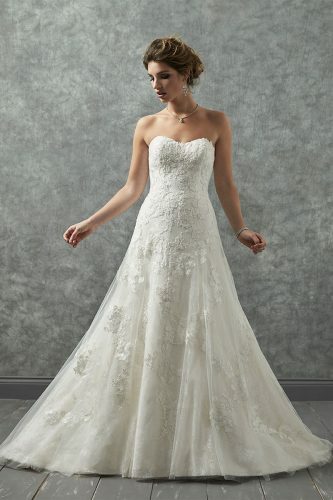 My partner was dreading dress shopping and after a rushed experience in one of the larger dress retailers, was not excited to continue with the search. Walking into Katie's was an immediate different experience. Kate and her mum showed my partner all of the different dresses and allowed her to find her feet while offering honest feedback on the dresses. There were no moments of pushiness and they proved that they truly cared about what they were doing. We cannot recommend this store enough as not only are they wonderful people but the dresses are stunning and cater to everyone. I said 'yes to the dress' in January and couldn't be happier!! 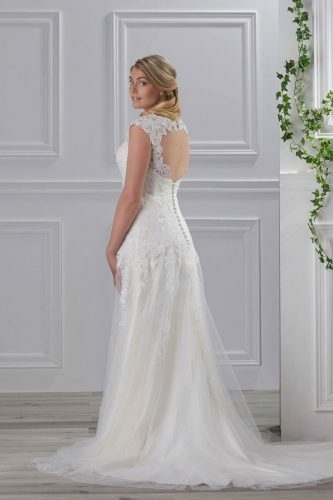 I was stressing over getting a dress as I had tried several on in other shops and just couldn't express what I wanted or get any positive\helpful feedback. The other matter of being treated differently because I was plus size also was a regular occurrence for not only me, but my mum & bridesmaid. Enter: Kate!! I wish I had only been to her shop as the experience was amazing! No rushing me, no pushing me to try on dresses that I said no to, no limiting on time, no negativity. There was only positive advice, great words of wisdom, lots of talk about cake and a hell of a lot of laughs (and a few happy tears!). Not only that she has gone above and beyond with the service after I have ordered my dress with responding to my messages and helping me in any way she can. Thank You so much! I was absolutely terrified about trying on dresses and felt totally overwhelmed at the thought of having to pick out ones that I liked the look of or may fit my body type. Plus having to please the wedding party of guests that I was taking. From the moment I walked into the shop all of that worry disappeared instantly. It was so friendly and I didn’t have to worry about dress types as they were expertly picked out... after 7 dresses I found the one and it is perfect. I can’t wait to walk down the aisle now. Thank you so much for making me feel so comfortable. I am so glad I found you on Facebook! I have just returned from the most wonderful shopping experience at Kate's Bridal Room where I said yes to the dress! It has to be said that I usually hate shopping (in fact, prior to visiting Kate's I likened wedding dress shopping to visiting the dentist!) but this time it was very different. I felt looked after from the moment I walked in. Kate and her Mum were amazing at advising us and made us feel at home. There was no pressure and I felt that they really just wanted to help me find the dress for me (which I did- woo!). I can't thank you both enough - you've turned a reluctant dress shopper into someone who didn't want the experience to end! You are doing an amazing job - thank you so much. In all honesty I was dreading my appointment as being 'curvy' I was convinced any dress would look awful on me. However, Kate and her mum were very welcoming and I instantly felt comfortable. I had an idea that I wanted sleeves to cover my arms and didn't want a waist band as I was sure it would make me look bigger. I picked a couple of dresses myself as per my criteria but I didn't get the wow factor so Kate picked a couple of dresses for me and they were both amazing. I'm still in shock now that I could feel the way I did in a bridal gown. So my main problem of the day was choosing between 2 dresses. Highly recommend and thank you for helping me say yes to the dress. Can't wait to pick my dress up. Behind the scenes of a curvy catwalk & all the photos the models love to hate! How much weight are you loosing for the wedding? Why I hate that question! 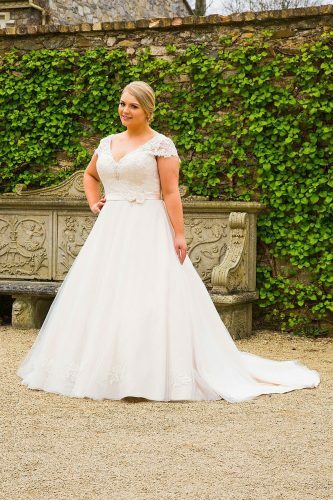 What made you Specialise in Curvy Brides to be? 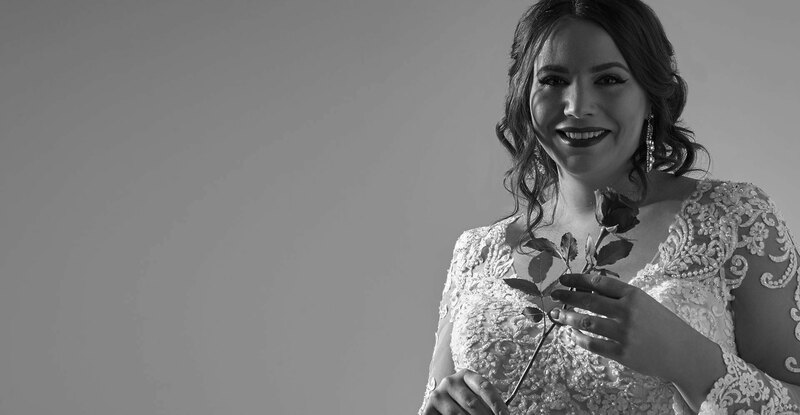 Stay on top of all the excitement at Kates Bridal Room.